Want to do that race? Take that trip? Totally undecided? 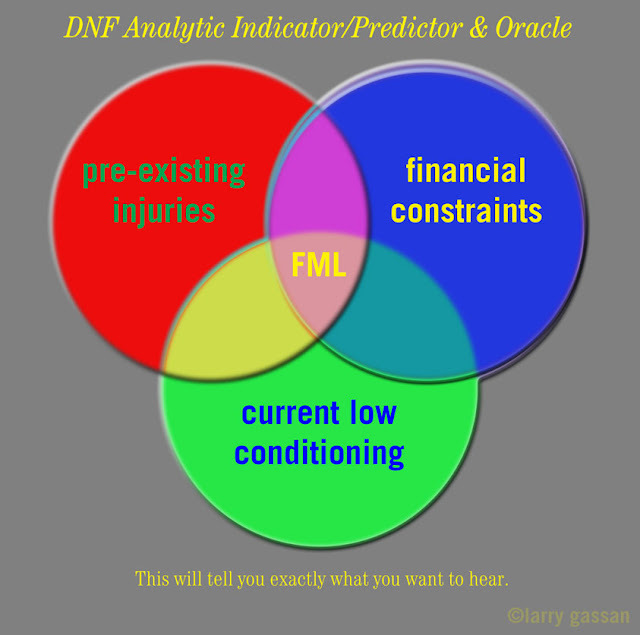 Allow the DNF Analytic Indicator/Predictor & Oracle help you analyze your situation, with all factors reduced to Three Main Elements. It will tell you everything you want to hear.